A Christmas story, Angels Unaware, warms our hearts as Gabbie tries to earn her gold wings. While cleaning Heaven's Outer Banks Laboratory, Gabbie and Sparky cause an explosion. Read how they bring light to one of heaven's and earth's greatest gifts. 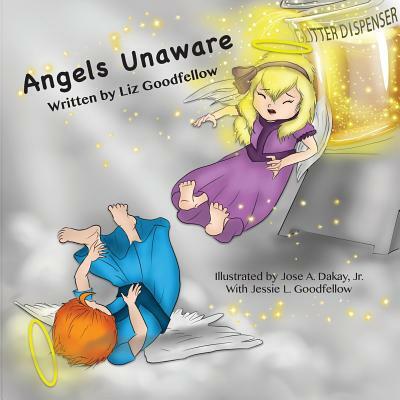 Award-winning author Liz Goodfellow's Little Angel series first delighted readers over twenty years ago with the initial nine stories appearing in magazines. Her published works include a weekly inspirational column previously running in multiple newspapers. She wrote 25 years of devotionals for the Safety Net Prayer Ministries. Children have always been the center of Liz's life, which made writing children's stories natural. She has four children, four grandchildren, seven chosen grandchildren, and many nieces and nephews. For over 30 years, she led children and youth programs in churches, where her husband served as pastor. She co-founded and directed a day care center. She also taught in a Montessori School.